Break your mid-week routine. Come for an evening social event at the Museum. Enjoy a chat with the exhibit curator, drop in for thematic gallery tours, and hang out with friends with artisan food and craft beer. Live music by violinist Sylvia de la Cerna. Presented in conjunction with the special exhibit A Cosmopolitan City: Muslims, Christians, and Jews in Old Cairo. Sponsored by Chicago Reader, Great Lakes Brewing Co., and the Young Professional Leaders. Want to make your mid-week Epic? Exclusively for adults, this new 21-and-over evening event offers visitors an alternative opportunity to experience the Museum with unique entertainment and engaging hands-on activities that connect visitors with the collections and research of the Oriental Institute. Themes change so Epic Wednesday is never the same event twice. Reinvent your Oriental Institute Museum experience with friends, family, or a special date – they’ll thank you for this unforgettable evening. 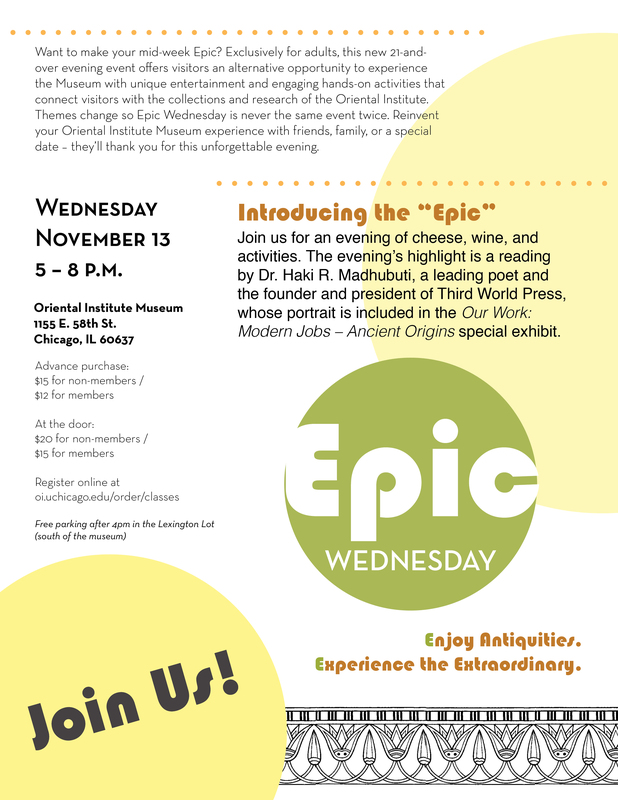 Wednesday, November 13, 2013, 5 – 8 p.m.
Join us for an evening of cheese, wine, and activities. The evening’s highlight is a reading by Dr. Haki R. Madhubuti, a leading poet and the founder and president of Third World Press, whose portrait is included in the Our Work: Modern Jobs – Ancient Origins special exhibit. On the first Saturday of the month, spend your afternoon sketching in the museum with a local artist. Participants will find inspiration from the special exhibit “Between Heaven & Earth: Birds in Ancient Egypt” and learn about the foundations of sketching from the theory to hands-on practice. 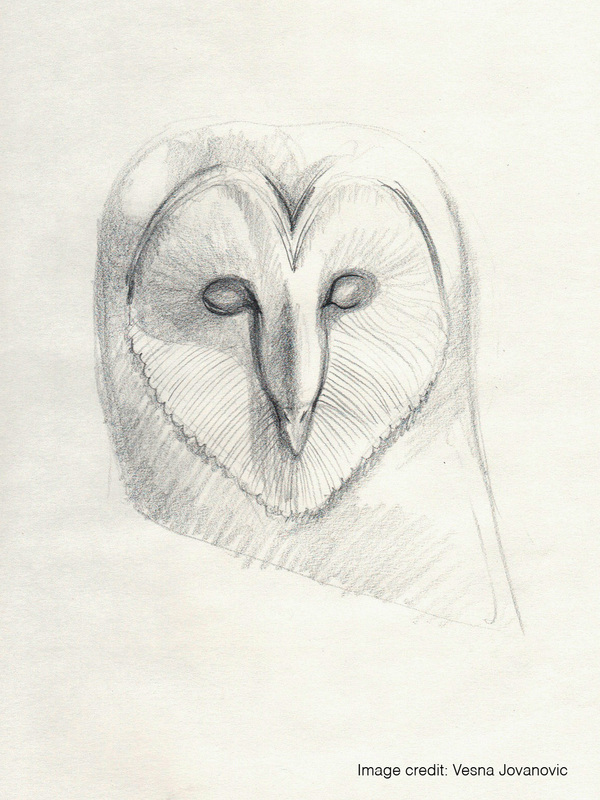 Participants will complete sketches and illustrations based on the bird artifacts found in the exhibit. The workshop is designed for students of all levels. Participants are responsible for bringing their own materials. A supply list will be sent upon registration. This event is limited to ten participants per session, for ages 16 and up.